We are proud to offer education classes at all of our conventions, including Midwinter. Your registration includes attendance at any class that peaks your interest - simply show up and attend! 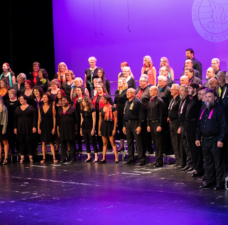 In addition to a plethora of class offerings, we also offer private and group voice lessons and coaching during the Convention. Up your singing game, learn the basics of grants, brush up on your leadership skills, or polish your quartet sound - you can do it all and more with HU at Midwinter! Curious to see some of past offerings? 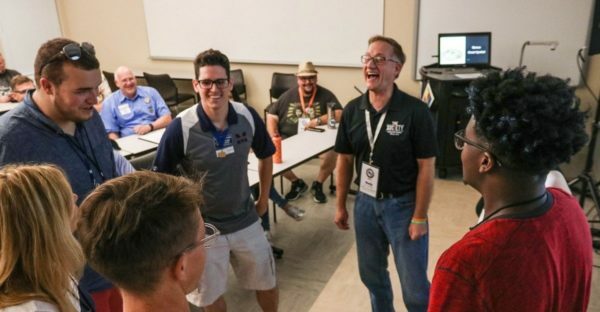 Let’s explore the ways a music leadership team can operate and work together to deliver a positive music program that supports your chapter goals and invigorates your members. Avoid director burn out (or dictatorship) with some real strategies for working together as a highly functioning team. Directors, music team members, and the curious are all welcome to attend. Hear how After Hours quartet was born, experienced a lead change a few years back, and how this journey sharpened their drive to excellence and finally barbershop gold. Yes…. they will be singing! 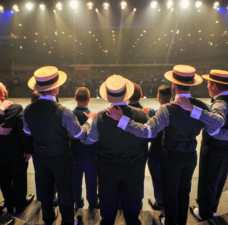 Spend part of your morning with Barbershop legend (you guessed it) David Wright as he teaches tags he has written from his 35 years as an arranger of barbershop music. He will add anecdotes and points of information about each tag. 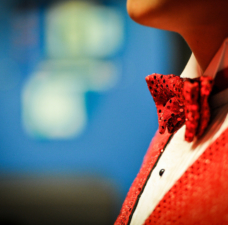 And yes… YOU will be seeing them on the screen and singing them too! They tell us to use it or lose it, and that is true… well, it doesn't get any easier, does it? We will cover the physiological reasons why our voices aren't what they used to be, and we'll give some strategies to help you. If you are singing along and notice that annoying little wobble, or if you go for a note and it doesn't land in the spot you're aiming for, this class is for you! Involving YOUTH in your annual show! Come see how getting youth involved in your show can help you share our hobby with schools, kids, music educators & your community. Our class will includes samples of what has worked in the past, resources, and lots of ideas. We welcome you to share your success stories with others and get some ideas to bring back to your chapter! This class explores the seldom discussed yet important details that can make or break performance. We will cover techniques that can be introduced months or even during your performance. Shawn will cover how to deal with vocal problems, entering and exiting the stage, pitch pipe technique, and group and individual focus. Learn how a greater understanding of all the “little” things add up to huge impact on your next quartet or chorus performance. The history of racial exclusion in the barbershop community was a reflection of the reality that manifested in society at that stage of our cultural evolution in America. Niambi Stewart (LCSW) and Shana Oshiro (MT-BC) will lead and facilitate our discussion. HALO believes that the nation as a whole can press forward toward becoming a truly united people. 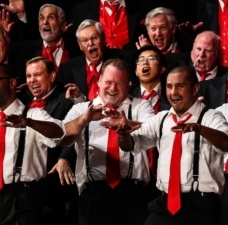 As we utilize and engage in the unique style of harmonic progression in barbershop singing to guide our discourse as well as the phenomenon of social bonding and trust that group singing facilitates, we can invest our energy in a difficult process of healing, forgiveness, reconciliation, and resolutions for peace. We welcome all people with all perspectives and open minds and hearts to learn from one another and lean into what we hope will be a continuation of our social evolutionary process. The long-term success of any chapter is based on leadership. We’ll show you how to become a leader who empowers your volunteers. You’ll learn three ways to motivate volunteer members, six contracts of delegation that will allow them to support the chapter’s purpose, and you’ll even have the chance to practice an empowering conversation. Let BHS staffer and sought-after voice coach and judge Steve Scott work with volunteers for 5 or 10 minutes, in front of the entire class. 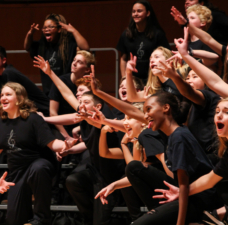 Each student will receive free (and gentle) voice coaching while the class will learn techniques to take back to their home quartet or chorus.